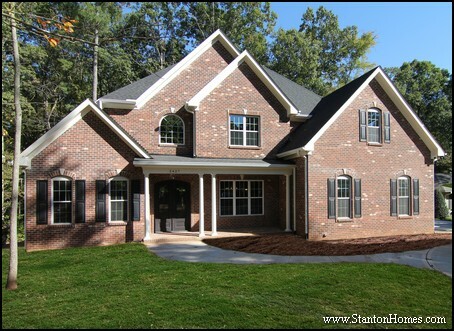 Here is a review of a recent custom home built in the Raleigh area by Stanton Homes. 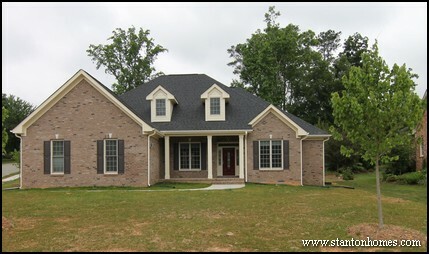 The Statesman is a 3160 sq ft main floor master home with 4 bedrooms, 4 bathrooms, and traditional home appeal with a red brick exterior and white columns on the rocking chair front porch. From the two island kitchen to the two story great room and formal dining, this design/build home is ready for formal parties, everyday living, and "aging in place". See a photo gallery of this home, here. Read what the homeowners say in their review, below. 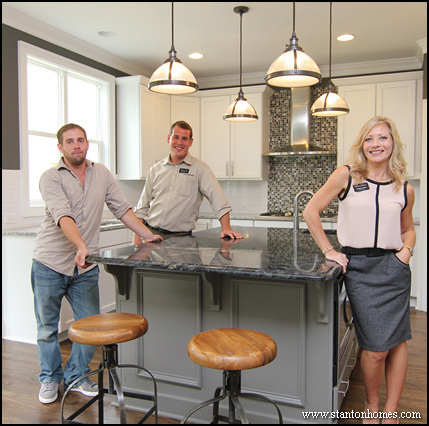 We are pleased to write the strongest possible review of Stanton Homes and the team that build our beautiful, custom home in the historic Hope Valley in Durham NC. Through lifetime of relocations, we had owned six homes previously and had an experience of building a custom home in Kentucky. 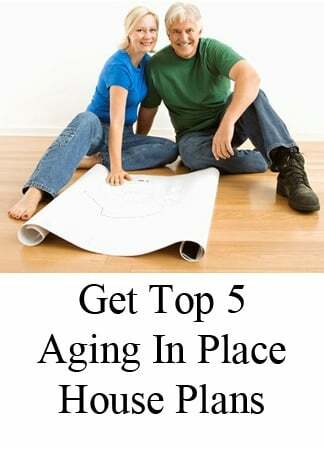 Thus, as we set out to build our retirement home where we plan to “age in place”, we began our search for a custom homebuilder. Our criteria were to select a local builder, rather than a national company, for the following reasons. 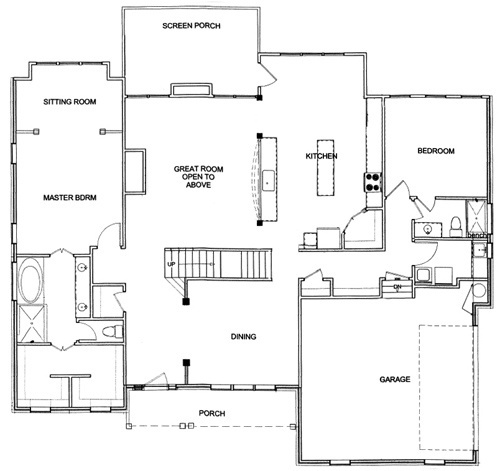 (a) We wanted the builder to create a unique home for us and not force us to select from 6-8 cookie-cutter designs. 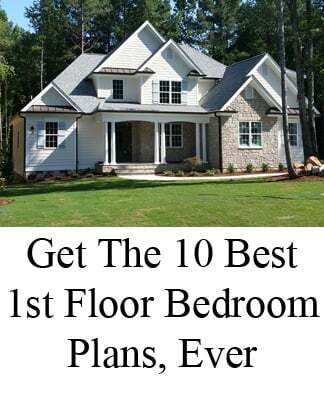 (b) We wanted a builder to respect the beauty of North Carolina and not bull doze acres of land to build 50-100 homes from which to select one. (c) We wanted a builder who lived in the area, rather than “build and move away”. Only then, a long-term guarantee would be honored and would mean something. (d) We wanted a builder who is affordable. 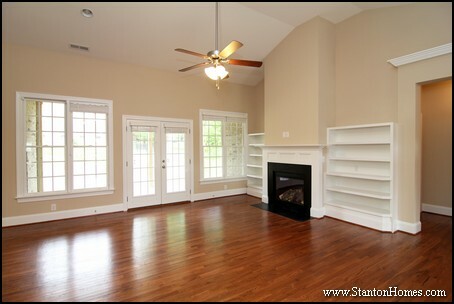 After meeting with two national builders and 3 local builders, we selected Stanton Homes, 800 W Williams St, Apex, NC 27502. 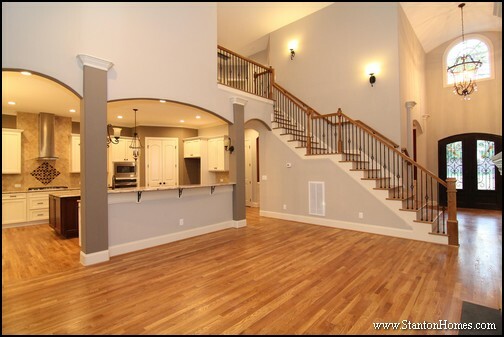 My wife and I are extremely pleased with our overall Stanton Homes experience, and highly recommend them to anyone who would like a beautiful custom home. 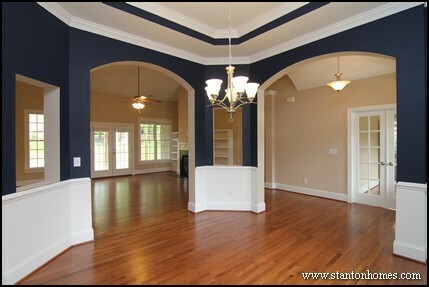 The Stanton Home team really personalizes the details and everyone on their team is incredibly helpful and knowledgeable. The most valuable player (MVP) in the construction team is of course, Phil Travers, the Project Manager. From the very beginning, he told us that he would meet with us as often as we need him at the site. He was always available to answer our questions and met us on a regular basis on site to discuss any issues that we found. Since we had partially retired, we could be at the site 2-3 times a week and prepared a long list of questions for him. Being compulsive, we prepared such check lists each time we met him. We texted and emailed him with follow-up questions. We didn't really need to be on site this frequently and some of our questions were premature in that they would have been solved over time. In responding to such questions, Phil was very patient, polite and kind. He took the time to explain to us how each issue will be addressed. 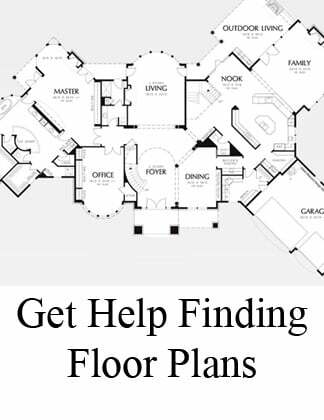 Building a house is an arduous, anxiety provoking process, requiring attention to thousands of details. Patience and persistence on part of the client yield handsome dividends but the client needs a reputed trustworthy builder and a cohesive, skillful team. Stanton Home provides such a team. 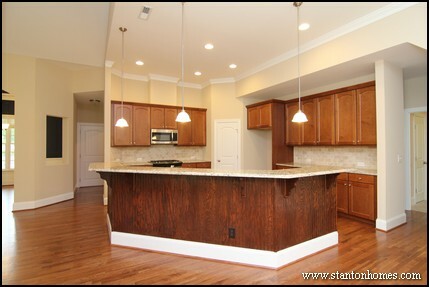 We strongly recommend Stanton Home as a custom homebuilder in the research triangle area of North Carolina. 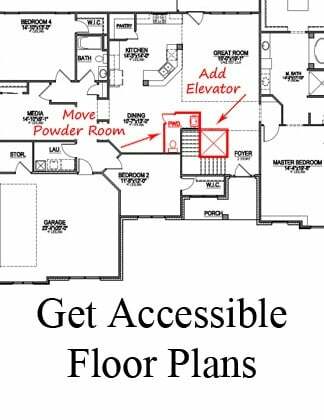 The first floor plan includes a downstairs master bedroom and guest suite (great for long-term visitors). Oversized master closets are separated for his and her use. The two island kitchen opens to the great room with decorative columns on the front-facing island. An oversized pantry offers long-term storage space. 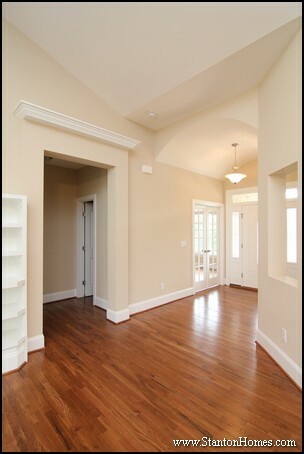 See inside the two story great room and foyer, with arched openings to the kitchen and formal dining. 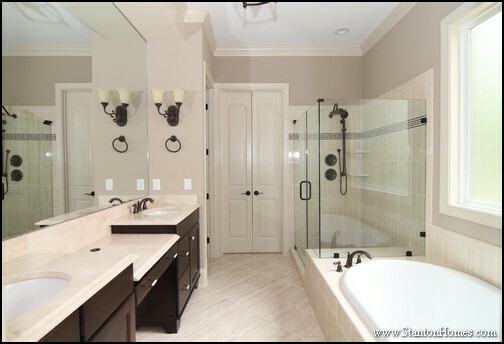 This master bathrooms features a single-wall his and hers vanity, glass enclosure tile shower, large soaking tub, and walk in closets beyond the double doors.